After the reformation the parish of the minister of Tullichettle covered Comrie, Monzievaird, Crieff and Monzie. The Tullichettle church is now a ruin in the middle of the old burial ground. In 1805 the parish church of the Church of Scotland was built, almost astride the confluence of Earn and Ruchill, incorporating the tower of an earlier church. In 1843 came the Disruption and in protest the Free Church was founded. 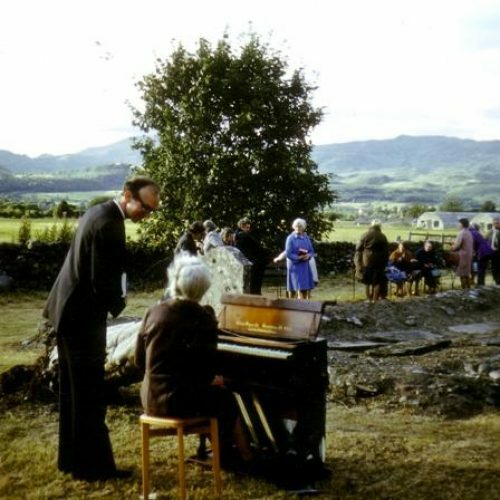 For want of a building, services were held on Tom-na-kessog, a knoll between the public hall and the present Comrie and Strowan Parish Church. 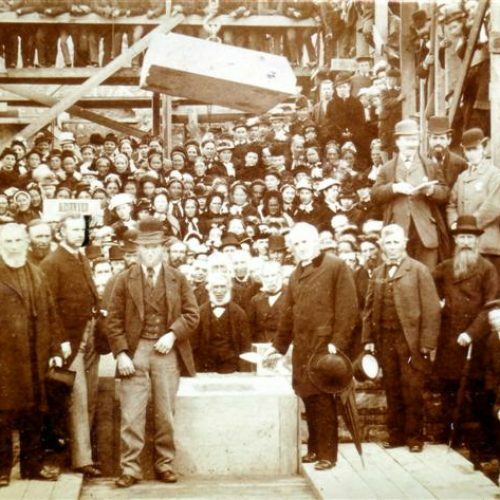 The laying of the foundation stone in 1879In 1879 the foundation stone of the new Free Church was laid and in 1925 the two United Free Churches of Scotland were united. 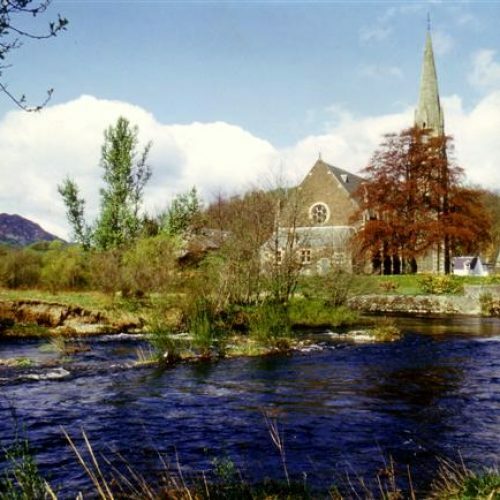 In 1929 the Established Church of Scotland and the United Free Church of Scotland were re-united and Comrie Parish Church was renamed Comrie Old Parish Church. 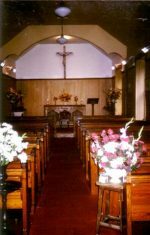 The merging of Comrie Old Parish Church and St Kessogs Parish Church took place with the latter becoming the building used for weekly worship. 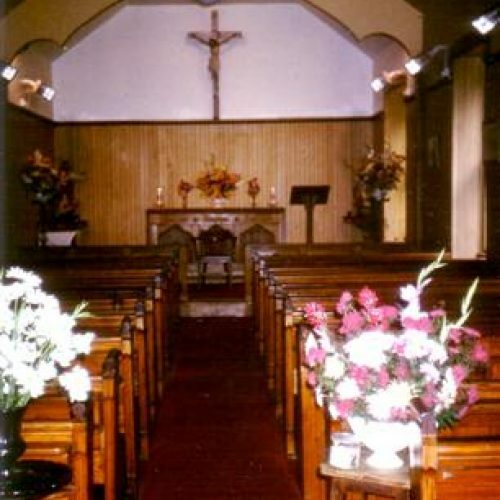 In 1965 the nearby church of Monzievaird and Strowan was closed and the Comrie and Strowan Parish was formed. The Scottish Episcopal Church was built in 1884 with Colonel David Williamson of Lawers being the main benefactor. 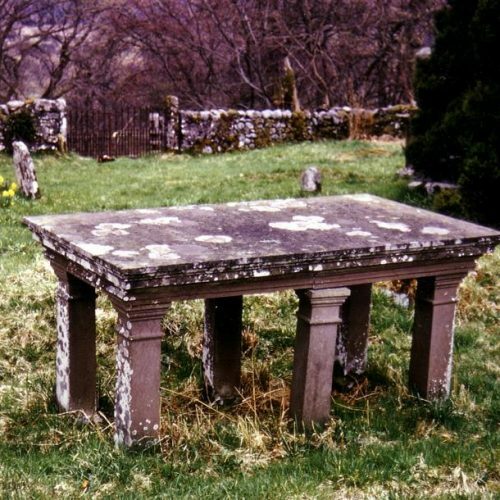 In 1934 it was discovered that the church had been wrongly named St Serfs and, as it had been dedicated to St Fillan in 1884, it was renamed St Fillan, however reconstruction of the church in 1958 saw it re-named St Serfs. In 1914 St Margarets Roman Catholic Church was founded by the Rev CDR Williamson, the only son of Colonel David Williamson of Lawers. Two cottages on the west bank of the Lednock were converted into the current beautiful little chapel.